« Manhattan Island: best real estate steal ever? Central Park’s Conservatory Garden is a magical place. Divided into three separate gardens designed in Italian, French, and English styles, it’s a quiet zone with lovely walkways and fountains. 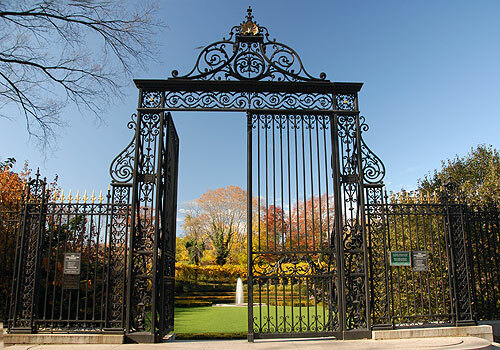 The main entrance to the garden on Fifth Avenue between 104th and 105th Streets, is through Vanderbilt Gate. Impressive, right? Made in France, it’s “considered one of the finest examples of wrought iron work in New York City,” states centralparknyc.com. 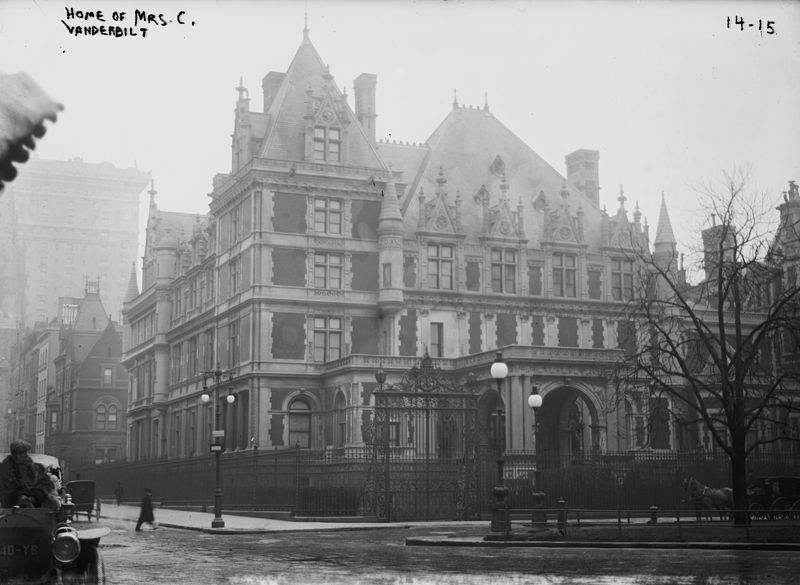 That mansion, the largest private residence ever built in New York City, stood at Fifth Avenue and 58th Street from 1883 to 1927, after which it was bulldozed to make way for Bergdorf Goodman. Luckily the gate was repurposed and installed at the garden, a fitting entrance for an enchanting spot. This entry was posted on June 3, 2013 at 1:57 am and is filed under central park, Midtown, Music, art, theater, Upper East Side. You can follow any responses to this entry through the RSS 2.0 feed. You can leave a response, or trackback from your own site. Hard to believe such an impressive edifice only stood for 44 years. By way of comparison, for instance- my piece of crap suburban high school is older than that, and it is an architectural waste of bricks (among other shortcomings). I was just at the park a couple of weeks ago with some friends when all the spring flowers were in bloom. It is a beautiful park. I was there yesterday and the roses were magnificent! I love the history of Vanderbilt Family. I read the book The First Ticon by T.J. Stiles. Just loved it. Also its possible to see the mantle of his fire place exposed at Metropolitam museum. I write about NYC in Portuguese in my blog too. Thanks for sharing such great things in your blog. Thank you! The Vanderbilts are so entwined with the history and growth of New York, an entire blog could be devoted to them. I’ve always what happened to the second gate from the other side of the Vanderbilt’s horseshoe driveway, but I’ve never been able to track it down on the interwebs. Thank goodness someone cared enough not only to preserve this beautiful work of art but also place it where it is in Central Park.